Leashed pets are always welcome! Please note no retractable leashes are permitted. 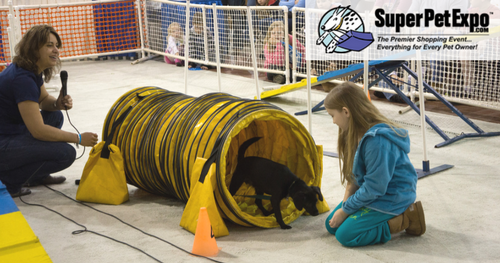 Join this special training workshop with the reigning National Stunt Dog Champion for an engaging way to connect with your dog. Don't miss the all-new "Cat Alley" destination area! Cat-friendly vendors, cat agility demonstrations and a "Pet Me" area to meet friendly felines. Whether furry, scaly, feathery or bald all attendees are welcome to compete and strut their stuff on the Main Stage during the best Dressed Pet Competition, Saturday Feb 9th at 1pm. Your pet is pretty darn talented, right? Showcase it at the Main Stage Sunday, Feb 10th during the Talent Show! MICROCHIPPING available via Central Jersey Animal Shelter in Booth 515.